I believe that every small business owner and marketer is trying to find the best online marketing tools that can help him with his digital marketing campaigns. And let’s be honest, there are too many marketing softwares that offer a large number of options but most of them are meant for enterprise-level companies and require a budget that doesn’t fit in most marketing strategies. But how can you find the best tools for your digital marketing strategy? There are tremendous articles and videos about tools, softwares and other devices. The best solution is to start investigating. Parts of this investigation are client reviews, a partner’s testimonial or even a bloggers review about the software. Another type of investigation is to start experimenting on your own and see if it fits your digital marketing strategy or not. But these 5 W’s there taught in high-school journalism classes in 1917 and today, many journalists use these type of investigation so they can tell their story more accurately. This is why I used these 5Ws to ask 11 representatives from top tools used in digital marketing so they can answer them to you and give you the insight and answers you need. What situation can be solved with the help of your product? 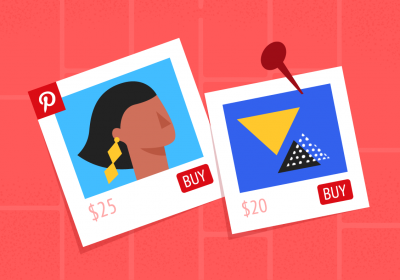 Why should a marketer use your product? Where does it fit in a marketing strategy? Who else can use your product beside marketers? In this list of digital marketing tools you will find answers from marketers and entrepreneurs who work every day to create a better workflow for your job. You will find tools for social media marketing, planning, SEO and marketing analytics, content marketing and content creation. Some of the tools are free, others come with a pricing plan but we’ve also got some discount coupons too. Here you go, the best online marketing tools you can use right now. We thank Rebecca Lee White (Digital Marketing Manager at TrackMaven) very muchfor taking her time answering us these following questions. 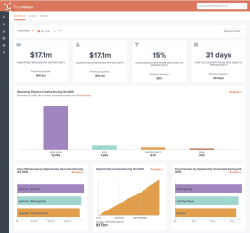 TrackMaven is a marketing analytics platform that helps marketers connect all of their activities to business results. The TrackMaven marketing analytics platform makes it easy to prove marketing ROI and improve campaign performance by tracking all of your digital channels in one place, including social media, blogs, ads, email, news mentions, and more. Our platform integrates with all the tools you’re already using to measure marketing performance, from social media and website analytics to marketing automation and CRM. As a result, you can clearly see what works and what doesn’t from one centralized view. We can also show you where you’re winning and losing in your industry by tracking your results against competitors, peers, and influencers. Anytime you are looking to prove results or improve your marketing strategy. 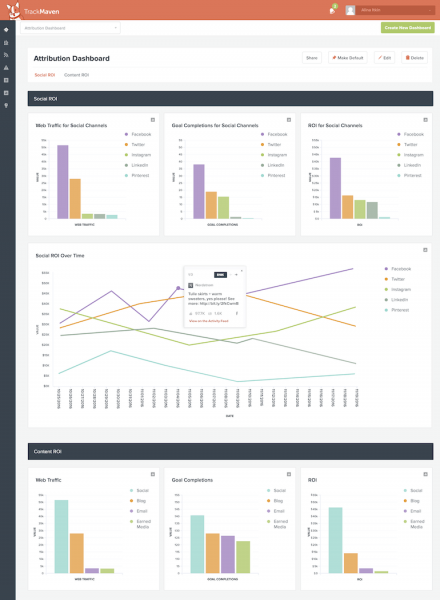 TrackMaven has shared analytics dashboards, exportable reports in multiple formats, and real-time data updates, as well as an API. TrackMaven will analyze your marketing performance across more than 20 channels from top-of-funnel tactics to bottom-of-funnel results. This means you can see the full breadth and depth of your buyer’s journey. You can also see the impact of your marketing efforts all the way from a campaign or channel perspective right down to the post level. 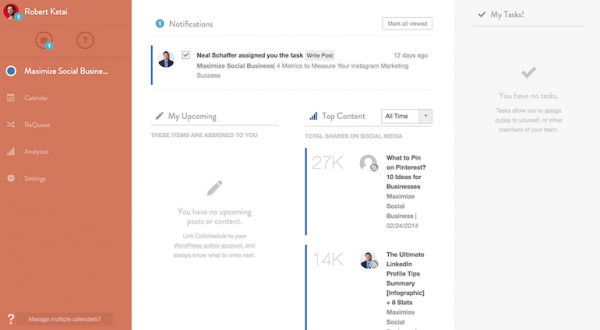 Marketing leaders rely on TrackMaven to report on their performance to executives and internal stakeholders. Learn more about our platform at TrackMaven.com. Thank you Alex Golub (Head of Partnerships at Omniconvert) for answering these questions. The situation where any business wants more revenue. Our tool helps business owners and marketing managers acquire more leads, improve metrics and reduce customer acquisition cost. From the moment your customer lands on your website and until the end of your sales process, Omniconvert can help you get results with web personalizations, A/B testing, surveys, and if you combine all of them with our +40 advanced segmentation engine, you can get better results faster than your competitors. At the end of the day, when the marketer looks at his website and the funnel numbers, he might be wishing that he could have done it better. We are helping him in that direction. You never know when a small tweak will improve just one of the metrics and that will have a cascading effect on the rest of the funnel. If that’s not enough to help him, I don’t know what will. The best time to use our tool is after you passed the traction phase after you’ve brought a considerable amount of traffic to your website. And this is because, in order for the experiments to have a statistical relevance, you need at least some traffic to your website. For sure it’s doable with low traffic but usually, it takes a good period of time until you get the same statistical relevance. For a marketer, no matter in what circumstance he is, time or traffic is not the issue, it’s the drive and discipline that brings bad results. With our tool and with just a little bit of discipline and a little bit of motivation, anybody can achieve great results. That’s why it`s called “the complete conversion rate optimization tool”. So, your business rapidly grew past the “idea phase” and into the “design phase”. Once that’s complete, you went into “development phase”. Once you’ve hit this milestone, you’re ready to plug in Omniconvert. Activate all the features and you’re one of the few people on this planet that have a competitive advantage right from the start. The insights you gain and the conversion rate improvements that you’ll make will bring you better customers and a faster vacation for your family. This simple trick will help you in your present business or in your future ventures, a lot. Everybody. eCommerce. Saas. Lead Gen. Do you have a website? If you do, then we can help you ! We thank Larry Kim (Founder WordStream) for taking his time answering us the following questions. We can fix your PPC advertising campaigns on Google, Bing and Facebook, then help you manage and report on it going forward. To get the most out of your advertising budget and drive more leads and sales for less. It’s a 20 minute PPC work week. Once a week it will do an in-depth analysis of your accounts and suggest the top ideas on what to optimize and why. PPC marketing is both a top-of-funnel channel for getting in-front of new prospective customers and also a bottom-of-funnel channel when it comes to re-marketing to people who abandoned their carts, etc. Usually business owners, agencies and marketers are our main clients. We thank Rand Fishkin (Founder MOZ) very much for taking his time answering us these following questions. 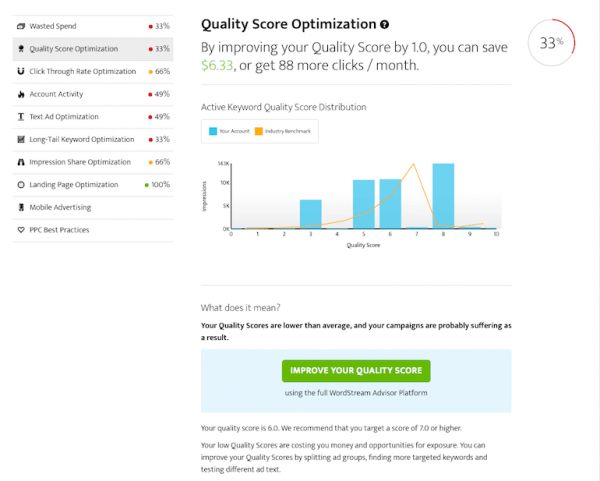 Moz Pro is designed to help websites grow their organic search traffic through SEO. To that end, if you see that organic search is a high conversion, high value channel for your business, and you’re seeking to get more, Moz is a product you should strongly consider. Moz Pro is built for marketers — it’s designed to specifically help with the key tasks in SEO, such as keyword research (via Keyword Explorer), on-page optimization, link building, competitive analysis, rank tracking, and identifying crawl issues. If you have experience with SEO, Moz will feel both familiar and intuitive. My recommendation is to start early on in your SEO efforts. That’s because tracking progress over time (particularly with rankings and traffic) and fixing errors or missed opportunities as soon as they arise is the best way to stay ahead of the competition. SEO in most fields and for most valuable keywords has gotten very competitive and you’ll need every advantage you can get. 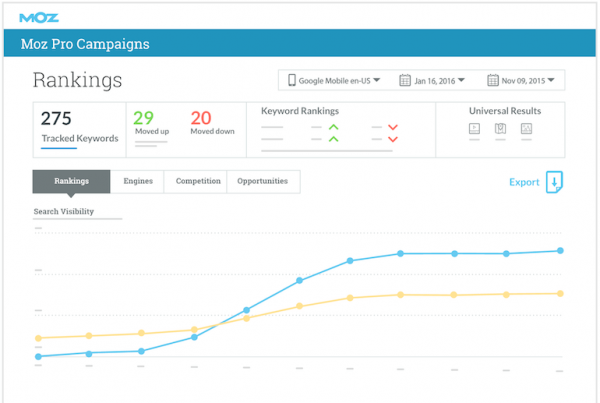 SEO lives at the top of the marketing funnel and so, too, does Moz Pro. The process and tools are designed to help you grow qualified traffic, and from there, you can optimize your conversion funnel, onboarding, and retention processes to help with the other key aspects of marketing. A good number of site owners, webmasters, and web developers use Moz, but it’s really built for marketers and they comprise more than 80% of our ~24,000 paid subscribers. Thank you Nadja Khoja (Director of Marketing at Venngage) for answering these questions. Since Venngage is a graphic design software geared towards non-designers the main situation is helps with is creating high quality images, infographics and visual reports without having to hire a professional. 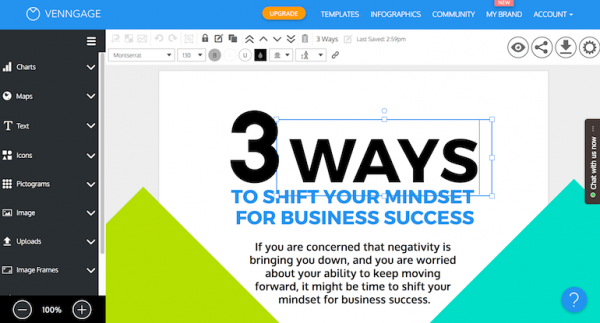 There are plenty of ready to use templates so people can create their own social media visuals, and other graphics for enhancing their content marketing. Many of Venngage’s users are marketers and use the tool for creating infographics, ebooks, slide decks, social media visuals and even white papers for marketing needs. The tool is drag and drop, making it easy to quickly edit existing templates. There is also the option of creating your own templates from a blank canvas. The best time to use the tool is when you want to better communicate complex data or information in a simpler form. Infographics are a highly shareable form of content, and according to a recent study, 41.5% of marketers stated that infographics and original graphics performed better in marketing than any other type of visual. 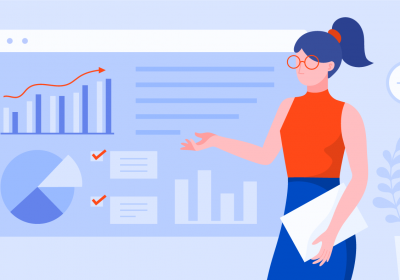 Many people in Human Resources, or Account Managers, Students, Small Business owners use Venngage for creating a variety of different visuals, such as reports, white papers, ebooks, onboarding, creating posters and many internal communications. Even graphic designers who require an easier alternative to photoshop for creating visuals more quickly are known to use Venngage. Banner ads are not dead, they just reinvented itself. Today a banner ad is a Facebook ad, Instagram ad, Promoted Pin, Mobile ad and everything related to advertising and it’s visual. Bannersnack is the solution for everybody who is struggling designing banner ads, social media visuals or creating pop-ups for their website and blog. With hundred of templates, top best fonts and professional clip-arts you can design a banner ad in 5 seconds, save and download it as .JPEG, .PNG or HTML or you can embed it on your website. According to MDG, 67% of consumers consider clear, detailed images to be very important. And this is the best reason a marketer should have when they think about Bannersnack. Because with this tool they can create visuals very easy, just drag and drop and if they lack of inspiration they will found a lot of templates that can help them create the visual that people will love to consume. Also with Bannersnack they can A/B test their pop-ups and banner ads on their blog looking at the Bannersnack Analytics tool, that is something a marketer should use. Every time when they want to launch a Google Display campaign, a Facebook campaign or just create visuals to engage with their community. Everything that is related to visual. Even if we talk about social media content, social media advertising, content marketing, featured images for blog posts, exit intents or pop-ups, online advertising and other strategy. Bannersnack is an all in one design platform that offers powerful and professional features and also maximize a marketers productivity with less effort. You don’t have to be a marketer or a designer to use Bannersnack. Every small business owner, student, HR or consultants can use it. Because it’s easy to use there are a lot of website and blog owners who use Bannersnack. 1. Research to understand what content resonates with an audience, including the most shared content, trending content today, what is working on Facebook, competitor top content and the content formats and headlines gaining most traction. 2. Understanding who is amplifying content through sharing and linking. Identifying the influencers and top authors for any topic, seeing all the people that share your content or competitors content and building outreach lists. 3. Sophisticated monitoring including alerts (real time and daily digests) when new content on a topic is published, when your brand is mentioned, when competitors publish new content, when someone links to your site or competitor sites. Producing content is hard work. You are also competing with millions of new content articles every day. You need to make sure you understand the type of content that will resonate with your audience before you produce it, you need to also understand the best formats and headlines. Creating the content is just the start, you need an amplification strategy. Who will share and link to your content. BuzzSumo helps you to decide on the best content and how to amplify it by seeing what works for others. 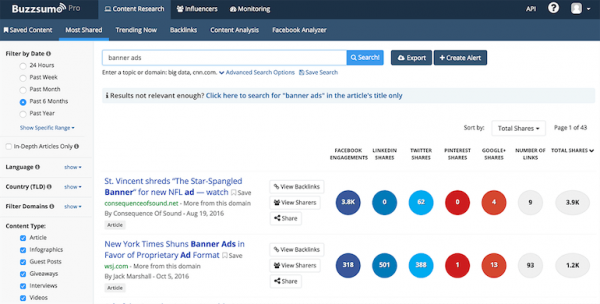 BuzzSumo is best used before you start creating content for your content research. 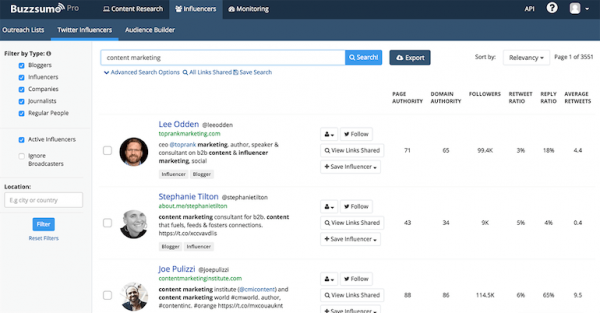 The BuzzSumo monitoring features are very useful once you have published content to track performance and also to track mentions of your brand or campaign inside any article or blog post. BuzzSumo is used to help create your content strategy by understanding the content that resonates with your audience and to monitor content performance of your content and your competitor’s content. 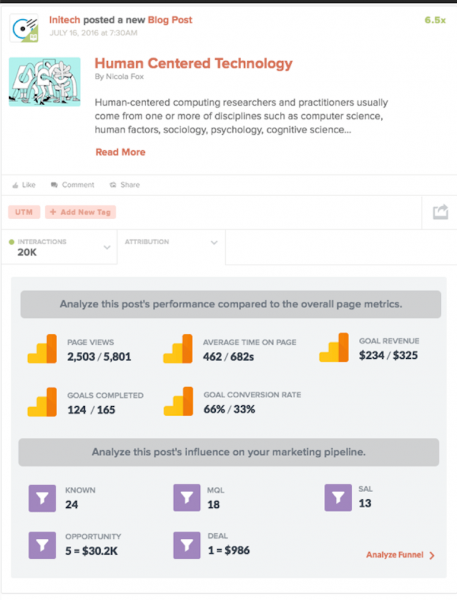 BuzzSumo is widely used by people that create content including publishers. Our clients are very wide ranging from BuzzFeed to marketing agencies. We thank very much Janina Moza (PR Officer at Flipsnack) for taking her time answering us these following questions. What problem can be solved with the help of your product? 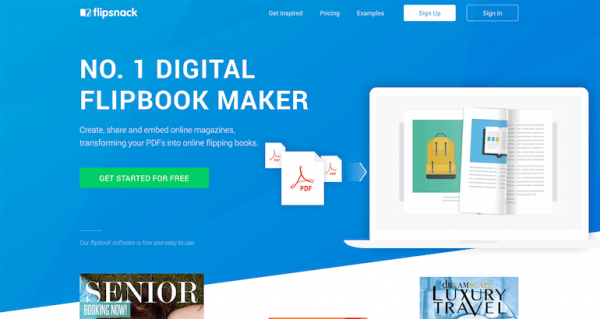 Flipsnack is the best alternative to PDF, so it’s perfect for big informational or promotional pieces, that are anything from 2 to 500 pages long. It turns the PDF into a highly shareable piece, that doesn’t get blocked by firewalls and that doesn’t require download from potential clients. Also, Flipsnack collects actionable metrics (unlike PDFs), which are very useful for marketers. Need more reasons? It supports on-page rich media and can be easily embedded on websites. Whenever you have something to publish, be it a newsletter, brochure, report or magazine. Flipsnack is a publishing tool, so it should be integrated in the content marketing strategy. Flipsnack is very versatile, so it’s used by professionals from various backgrounds: designers, teachers, photographers, real estate agents, small business owners and so on. Thank you Vlad Caluș (Chief Marketing Officer, Planable) for answering these questions. Automation is a $5B industry and the future of marketing, but there’s no automation in the way social media teams review and approve content. Signing off content is still manual, painful and time-wasting. Today, the collaboration standard is to use outdated and cluttered tools like excels and powerpoints. Social media managers need a simple and effective way to collaborate with their clients on social media posts. Our tool brings automation into the process of planning, reviewing and approving social media content. Planable streamlines the entire workflow of a social media team – from visually drafting posts to gathering in-context feedback and to quickly scheduling campaigns. No more complex excels, back and forth emails, miscommunication, and lack of clarity. Planable is a collaborative, visual and fast solution for streamlining social media workflows. It’s an easy to use tool where you keep your team on the same page, mention, notify or comment to ask or give feedback, then gather in-context feedback for knowing that there are no mistakes. Our platform helps marketers to preview posts exactly as they would appear on Facebook, Twitter or Instagram and keep all the content in one single space. Planable helps marketing teams to save up to 100h a week with automated publishing and one click approvals. After creating the social media campaign, marketers can publish all the posts easily. Right now. If the social media manager is working in spreadsheets or powerpoints to collaborate with the client, he can say goodbye to them and start using Planable this second. If he works within a team of social media managers, designers and other stakeholders on social media posts he should try Planable right now to collaborate faster and happier. Our platform brings every team member on the same page and makes sure everyone is happy before publishing any post. Planable is a perfect workflow tool for planning, reviewing, approving and scheduling social media content. Beside marketers, Planable can be used by designers, copywriters, account managers, company directors, brand managers and everyone else participating in the process of creating the social media campaign for a brand. Agorapulse aims to solve a handful of problems for the modern marketing team. Social media is a must for marketing these days, and many marketers find themselves purchasing a multitude of tools to assist in the process. They have a scheduling tool, an analytics tool, a CRM, amongst other. Our goal is to provide the Swiss army knife of tools and combine it all into one robust social media tool. Agorapulse also helps marketers address the problem of engaging with comments left on your Facebook or Instagram ads. With ad comment monitoring you will not miss out on the engagement happening on your paid ads. Marketers have so much on their plate, they are very busy and jumping from tool to tool not only takes lots of time, it can be frustrating and stifle productivity. 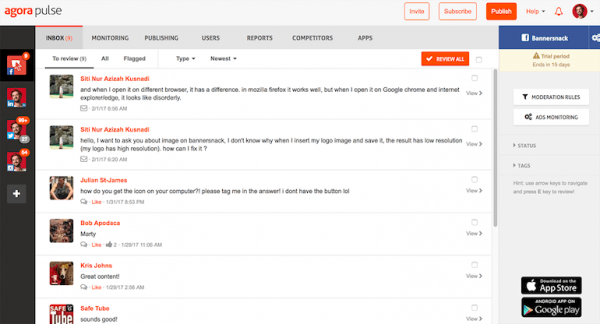 Agorapulse makes handling your social media a pleasant experience all inside of one tool. We have plans available for the solo entrepreneur up to the large agency or corporation, so if you are running social media campaigns the time to use Agorapulse is now! Right up front! 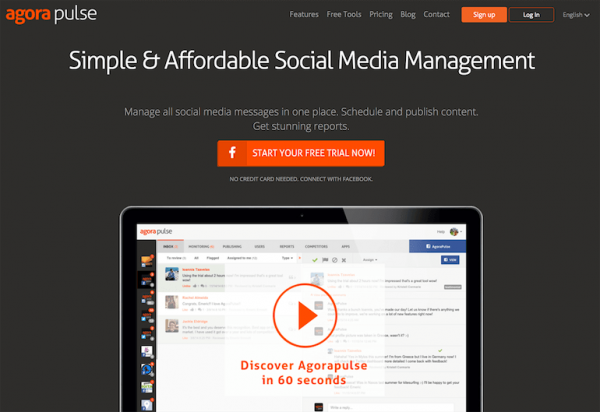 Agorapulse is a must for all of your social media campaign management needs. From scheduling, moderation, engagement, customer service to analytics and more, Agorapulse will fit multiple places across your marketing strategy. You don’t have to a marketer to know the importance of social media for businesses in 2017. We have many companies use our tool for customer service purposes across their social platforms, higher education institutions to communicate with their students, and CEO’s to track community management efforts. While social media does fall under marketing, with our team workflow, tagging, and CRM-like features it has a place in all departments. We thank Ben Sailer (Blog Manager at CoSchedule) very much for taking his time answering us these following questions. CoSchedule helps marketers bring all their content and social media marketing together in one place. It makes it easy to plan, publish, and promote content through one intuitive content calendar interface, keeping all your projects and team communication organized. This is a big question, but our customers commonly tell us they save an incredible amount of time using CoSchedule. Instead of having to switch between multiple tools or spreadsheets, they can plan and create all their content directly in their editorial calendar. This cuts down on copying and pasting content from spreadsheets into various social networks or content management systems, and leads to much more productive and efficient workflows. 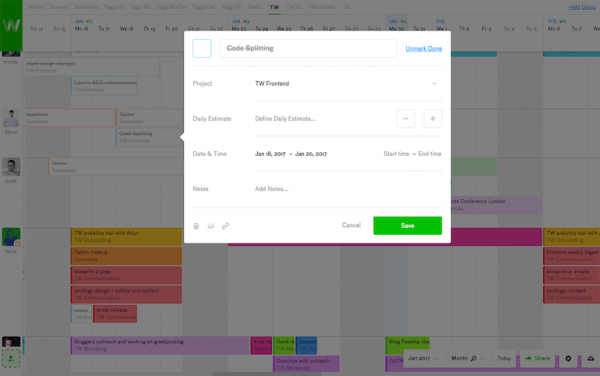 When used to its full potential, CoSchedule really has the power to drive your entire workflow. So, I’d say the best time to use CoSchedule is any time you’re planning or creating content, no matter what that content might be. CoSchedule can essentially act as an all-in-one content hub for marketers. It’s the organizational centerpiece for everything you’re working on. Anyone involved in the content creation process can use CoSchedule. Beyond marketers and bloggers producing content themselves, it also has a lot of value for project managers and editors overseeing the work too. In short, if you’re involved in creating or planning content in any way, our software is for you. Thank you Laura Noodapera (Content Specialist Teamweek) for answering these questions. When you plan on a timeline, you have a visual overview of what your team will be working on. You can also rearrange those plans easily when something gets on your way. Plan out campaigns, book time, and send the link to the timeline to your client for transparency. Any time :smile: At least once a week so you’d be sure your plans are up to date. Rescheduling is super easy in Teamweek. Why? Because plans always change. 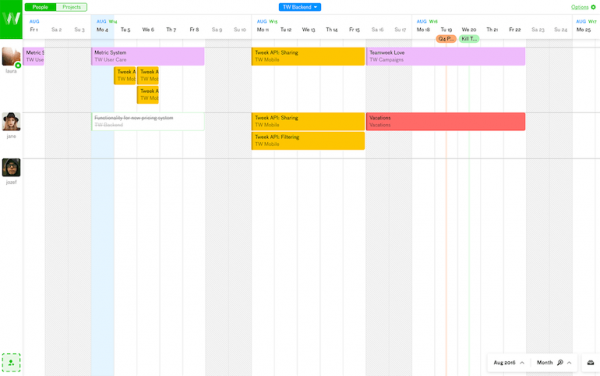 Teamweek is mostly meant for helping you to plan out your strategy on a timeline. Because you need to plan out any action on a timeline to have a full grasp. If you want to use it for marketing purposes and you have positioned yourself as a transparent company, you can share all your plans on your homepage like we do in Teamweek. Everyone in a team. We have a huge number of creative teams from news media outlets, design studios, marketing companies. And maybe more surprisingly, a lot of contractors have started to use Teamweek. Go figure. 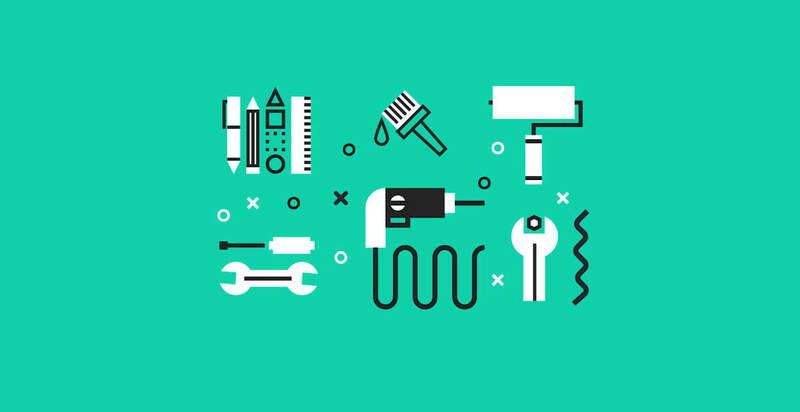 Let us know in comments which one of these tools can be a good fit for your business? Great list Robert! I’m going to try some of these tools. Unfortunately many great tools do not support RTL languages. Thanks Siahgum. Which one are you interested in using? Thanks for including us here at Agorapulse in the post, Robert! Great comprehensive list! Thank you for contributing for this round up:) I hope marketers will find their answers while they are looking for the next tool to purchase. Great list. CoSchedule is one of my favourites. I also find GetResponse useful. They are good for marketing automation and email marketing. I used Venngage for a while when I had to create infographics. Yeah Bree, Venngage are doing a great job dor designing infographic. Did you had the chance to try Bannersnack for social media visuals or banner ads? This is a very good article, You made good points here. Thank you.